My quiet time is first thing in the morning along with a hot cup of coffee, piece of toast with melty peanut butter or a muffin. 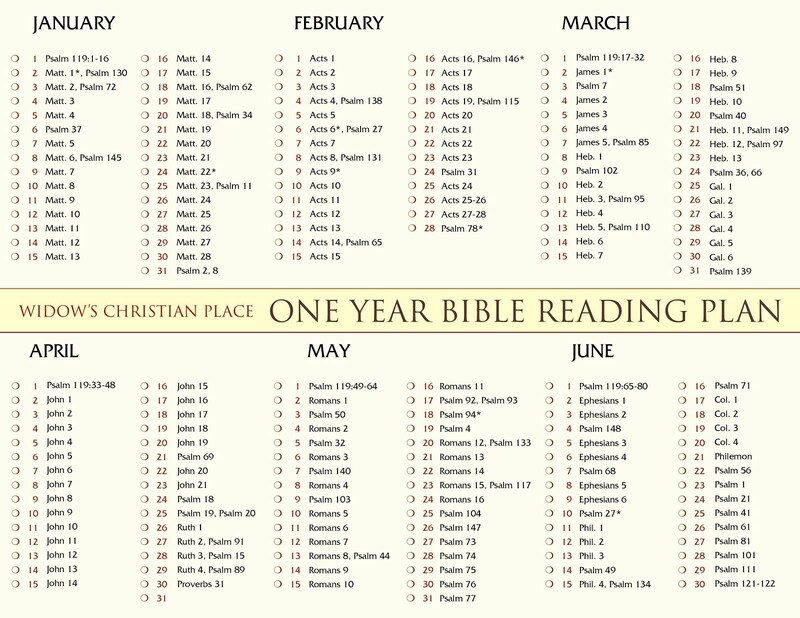 I follow a Bible reading schedule just about every day, I write down the verses or thoughts that catch my interest, and then I talk to God about them plus the many things in my life I'm concerned about. That's my "soul food," and each day God serves up His ideas, encouragement and strength! How about you? Do you intentionally nourish yourself spiritually? 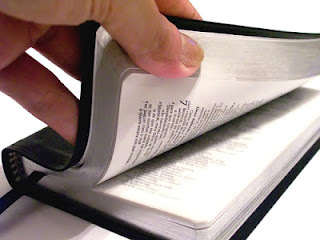 I'd love to hear about the devotionals, Bible reading plans, books or websites you use. Feel free to share your tips for soul food today. I use an App on my iPad "Daily Audio Bible" to listen to the Bible first thing every morning. I find it more effective for me and many mornings there are tears streaming down my cheeks as I listen. I'm so glad you mentioned that. Many people prefer hearing the Bible rather than reading it and you've provided a great option which truly touches your heart! I think your method will be the perfect suggestion for some who are visiting here today. Thanks so much. I get Greg Laurie's Harvest Daily Devotion by email every morning, and I am reading through the Psalms every evening. I usually do my devotions one of the first things in the morning. I like to write down what I think the Bible passages are saying to me also. I like also using Jesus Calling by Sarah Young and 31 Days of Praise by Ruth Meyers. Recently I went through a section a day of Psalm 119 and am now working through I Thessalonians. 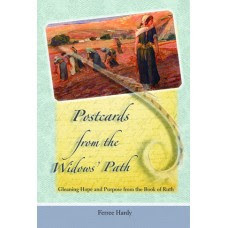 I have also done other Epistles and the Psalms in the past. I also do my devotions early in the morning, for it starts my day just right to feed my soul first. I am right now reading the Bible from beginning to end, using Pastor Charles Stanley’s Life Principles Daily Bible. 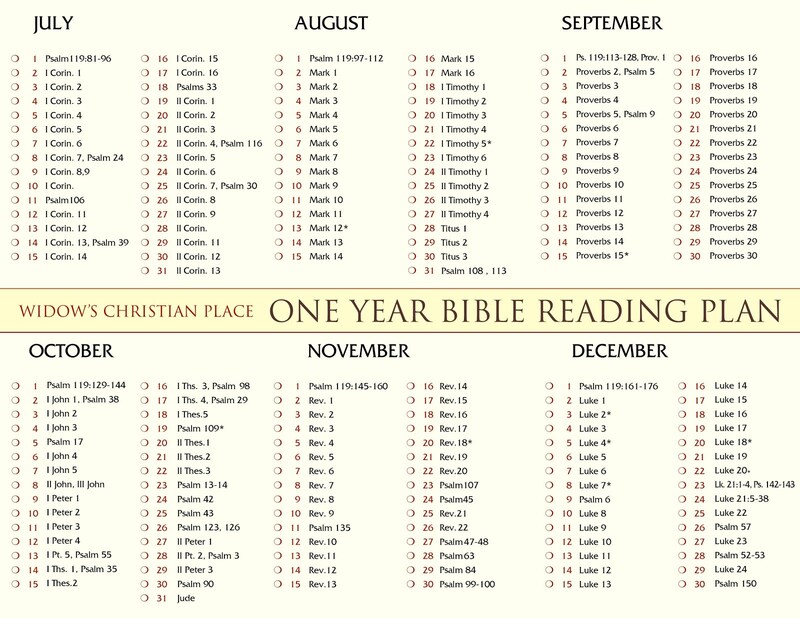 It is just perfect for me since I took the challenge to read the Bible in one year. Every day you are given a little of the OT, a little of Psalm, a little of Proverbs and then a little of the NT, follow with Pastor Charles Stanley teaching on some of what you read to help you get the message better. This Bible also contains Pastor Charles Stanley’s 30 Life Principles which he has taught over the years. I use this study Bible with my own Bible....and then the best part is I knee in prayers...and spend time in silent with God so He can speak to me...I don't see Heaven but I feel such a calm peace while feeling being presence in His realm. I also keep The Daily Bread by RBC Ministries and Pastor Charles Stanley’s InTouch monthly devotional magazine that I subscribe to on a shelf in my bathroom for quick reading material every day. I am right now finishing reading The Sacred Romance by Brent Curtis & John Eldredge; drawing closer to the Heart of God and just started reading, Pastor Charles Stanley new book this year; Prayer the Ultimate Conversation; (revised) it’s about learning to have a conversation in prayer with God and how to listen to Him. Great resources and ideas, everyone! Thanks so much for showing "soul food" benefits. Hi Ferree, I missed this message as I was traveling. Thank you for posting so many blessings. I thank the Lord that I was taught very early in my spiritual walk to partake of soul food each day. This is what has been so life-giving and life-saving during this difficult process. Years ago, an older mother in the faith told me about David Wilkerson's Messages and Oswald Chambers. I didn't understand much then, but I continued to read. Someone else told me about Hannah Whitall Smith, Kenneth Hagin, Fred Price, Marilyn Hickey, Kenneth and Gloria Copeland and, of course, so many others along the way. But, most of these I continue to read after. I also read from the Psalms daily and other Scriptures as the Lord leads. Some of the older writers I'm just beginning to grasp as I've experienced such intense suffering. Thank you again for all that you do for widows. "We have Something within us that holds back the impossible!"